Visitors can enjoy the exhibit through mid-March, which features a walk through the rich history of African-American golf in Jacksonville from the desegregation of city golf courses in the 1960s to Calvin Peete’s historic win at THE PLAYERS Championship in 1985. The exhibit is also a celebration of the contributions and achievements of today’s golfers, including 14-time Major Champion Tiger Woods. “Golf Heroes of the First Coast” was created in partnership with the Florida Times-Union, THE PLAYERS Championship and the Jacksonville Sports Council. The many achievements of African-American golfers are also presented in a permanent exhibition at the World Golf Hall of Fame. “Honoring the Legacy: A Tribute to African-Americans in Golf” highlights these achievements through rare photographs, audio, videos and memorabilia dating back to the late 1800s. You can even see both exhibits for the price of one! 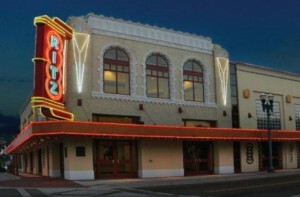 Visit either the World Golf Hall of Fame & Museum or the Ritz Theatre and Museum and you will receive a voucher for complimentary admission to the other museum!